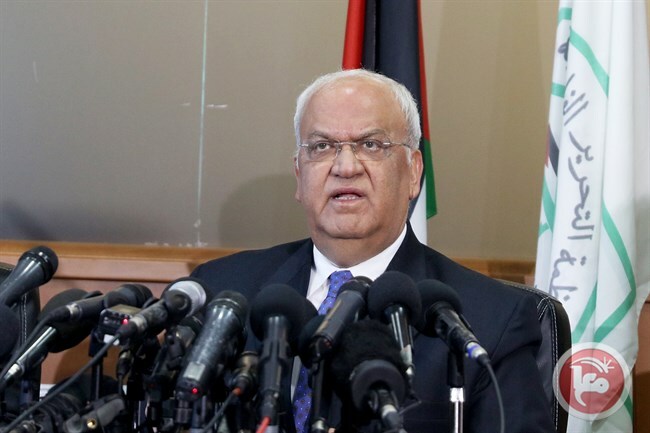 The Secretary General of the Executive Committee of the PLO, Saeb Erekat, spoke there and railed against the normalization of relations between Arab nations and Israel. Erekat said that the prerequisites for any relations with Israel are "when Israel withdraws from the occupied Arab territories and ends its occupation, including East Jerusalem, the occupied Arab Golan, the rest of Lebanese territory and solves the refugee issue." He said, "normalization with the occupation authority is a stab in the Palestinian blood and a reward for the occupation authority, which practices terrorism of all kinds against our people, in addition to field executions, colonial settlement and arrests and closure." Erekat added: "We hope that no Arab-Israeli meetings will be held on the sidelines of the upcoming Warsaw Conference. What President Trump's administration wants is to change the Arab peace initiative and to reward Israel with normalization. This is totally unacceptable. We hope that our Arab brothers will speak the language of interests. 3 resolutions issued by previous Arab summits, namely, Amman, Baghdad and Cairo, stipulated that the Arab countries sever their relations with any state that recognizes Jerusalem as the capital of Israel and transfers its embassies to it and what is required to implement it." Of course, all of these Arab resolutions are roundly ignored by the Arab world. Not one Arab country, as far as I know, has severed relations with any country that recognize Jerusalem as Israel's capital. And, remember, Russia does as well, at least part of Jerusalem.